The Defender 50th Limited Edition has got to be one of the best defenders ever produced, and one of the most expensive with a price tag of £26,000 when it rolled out the showroom. The 50th combines comfort, performance and practicality, which makes it the ultimate 90 in terms of desirability. But with only about 385 on the British market it also makes them rare. 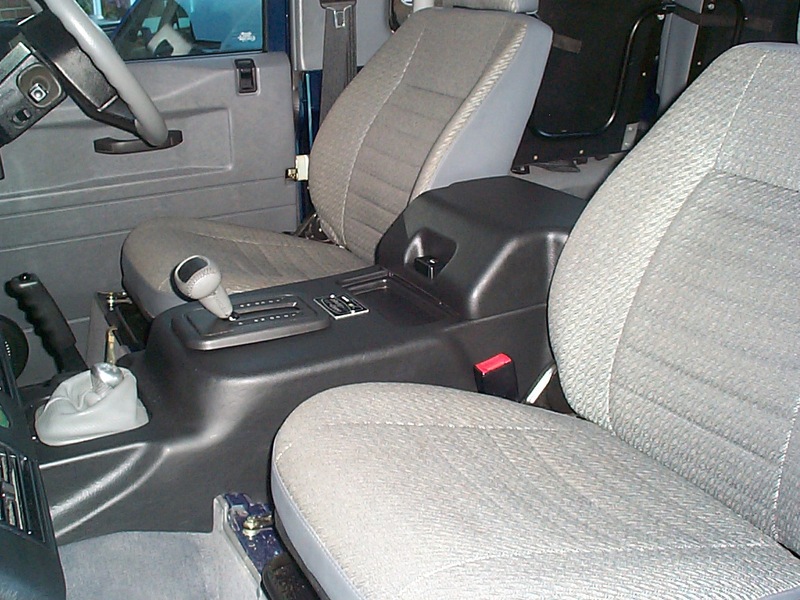 Interior features:One of the 50th’s most unusual features in the lack of a bulkhead between the drivers compartment and the rear load space, which gives the cabin a more spacious feel and allows more comfortable transport of passengers and more adjustment to the front seats. 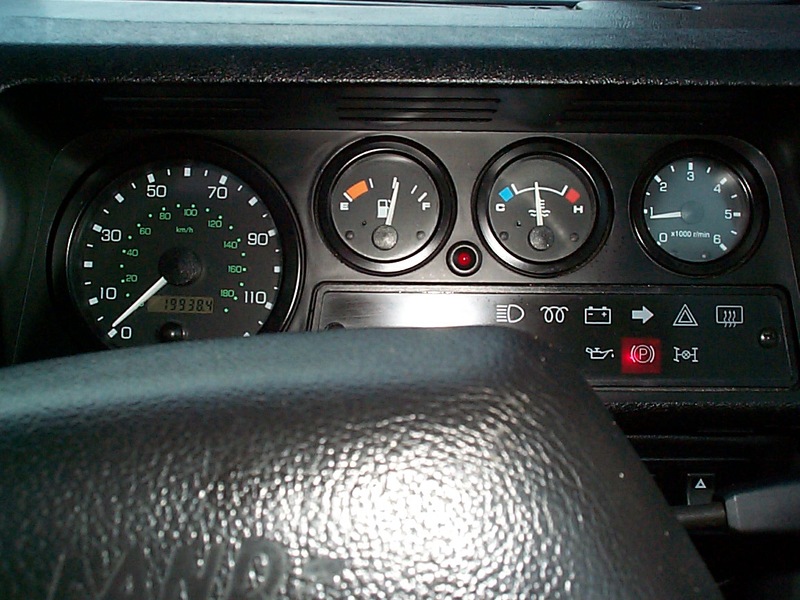 The dashboard is better laid-out, which is a huge plus. The warning light remain visible in the sun, there is a rev counter and digital odometer to keep the clockers at bay. Also to keep the cool and luxurious feel in summer it comes with air conditioning. A host of extras have been added to the 50th, which are both useful and decorative. 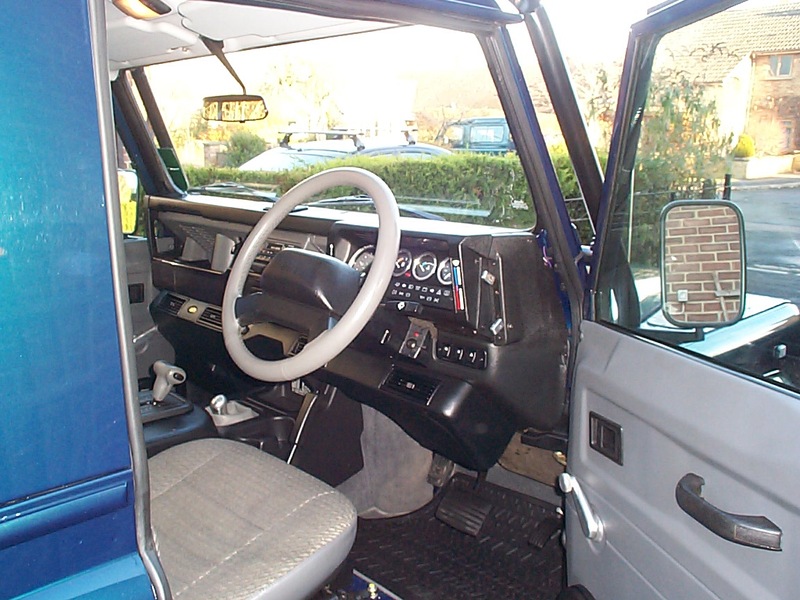 Inside the cabin there is extra soundproofing, an integrated centre console with built in cubby box and polished aluminium knob on the transfer gear selector and aluminium window winders. 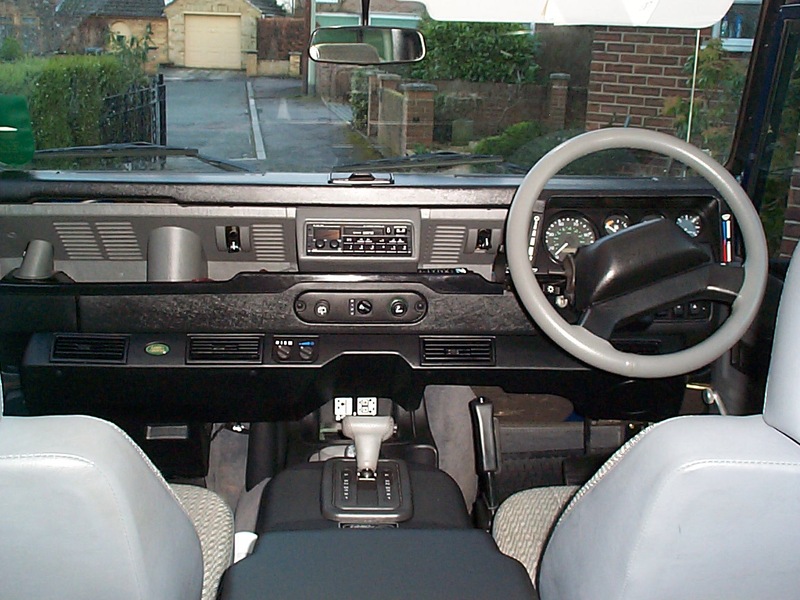 The steering wheel and auto selector has been covered in leather to give the luxurious feel. Also because the fuel tank on the 50th is located to the rear it also has a storage box under the drivers seat. The 50th comes with a four speed ZF auto ‘box and a mighty four litre V8 under the bonnet which combines to give a sense of power and smoothness. The acceleration is phenomenal with 184 bhp, yet the lavish soundproofing and cosseting ride give a very satisfying level of refinement and luxury. The 50th has standard springs and shocks all round, but also anti-roll bars front and rear to keep the beast under control. 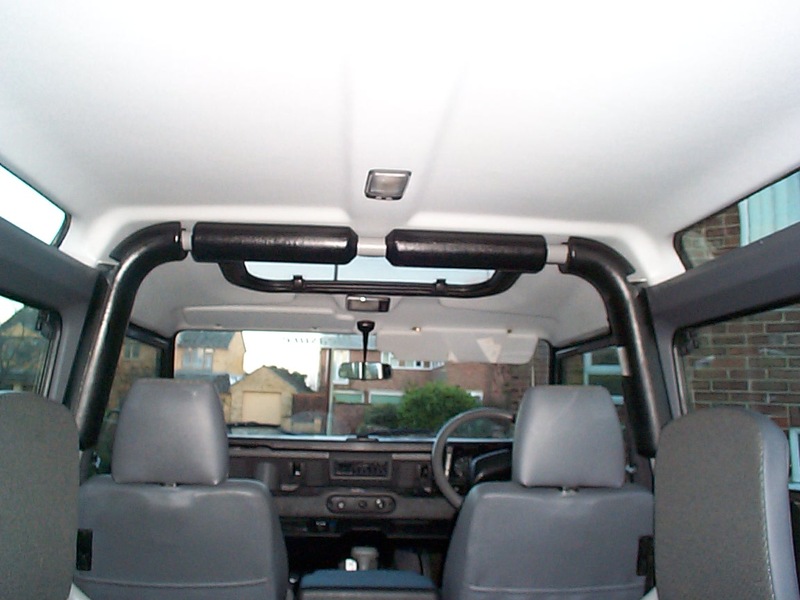 But this also would explain the vehicles superb handling properties. And to stop the beast there are disk brakes all round and the fronts are vented. 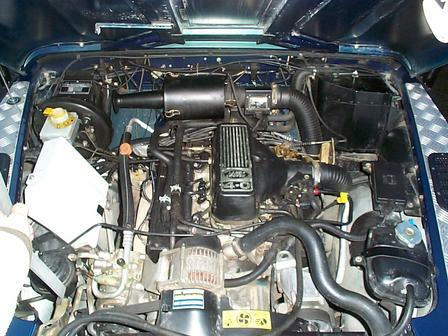 A great thing is that the engine is looked after by a GEM’s engine management system, as used on Rang Rovers. Because the BFG tyres ate only rated to go no more that 100mph the 50th has a restricter to limit to 99mph. 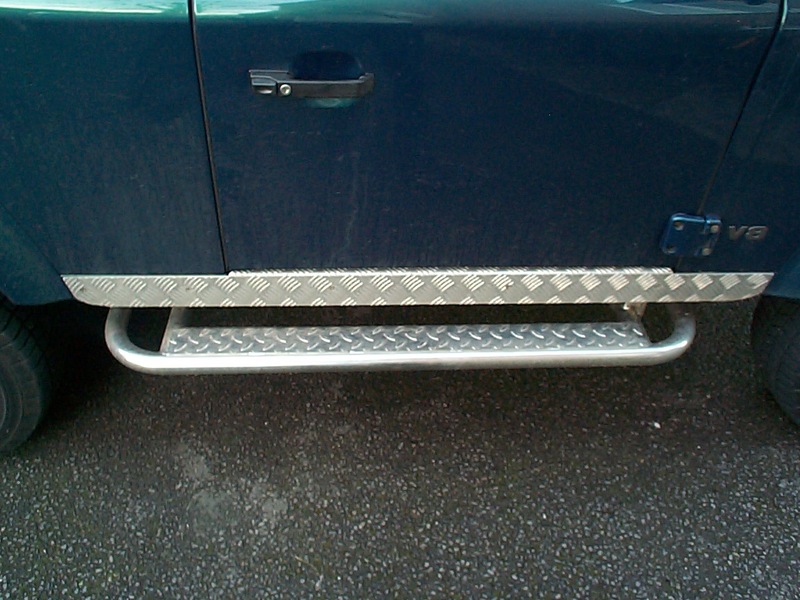 checker plate wing tops, sills and rear corner protectors. 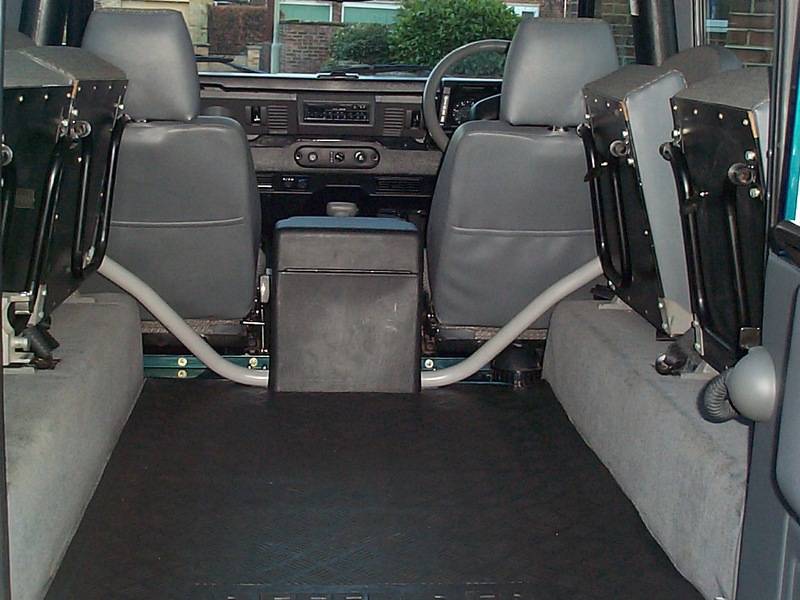 The best extra is the safari roll cage which is bolted to the chaise to provide excellent front cabin protection. Also there is a NAS style rear step. The 50th comes with Pewter grey freestyle alloys. 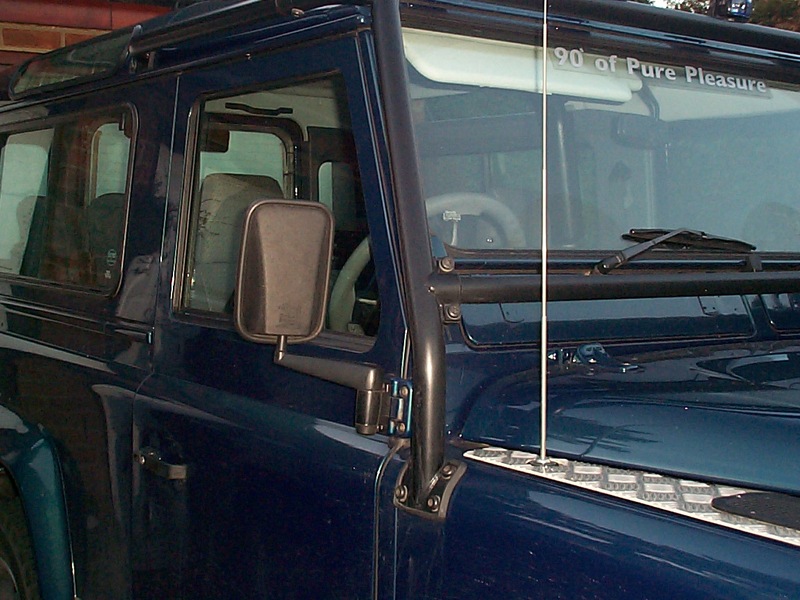 It only comes in one colour, Atlantis blue, as this colour is reserved for special edition vehicles. 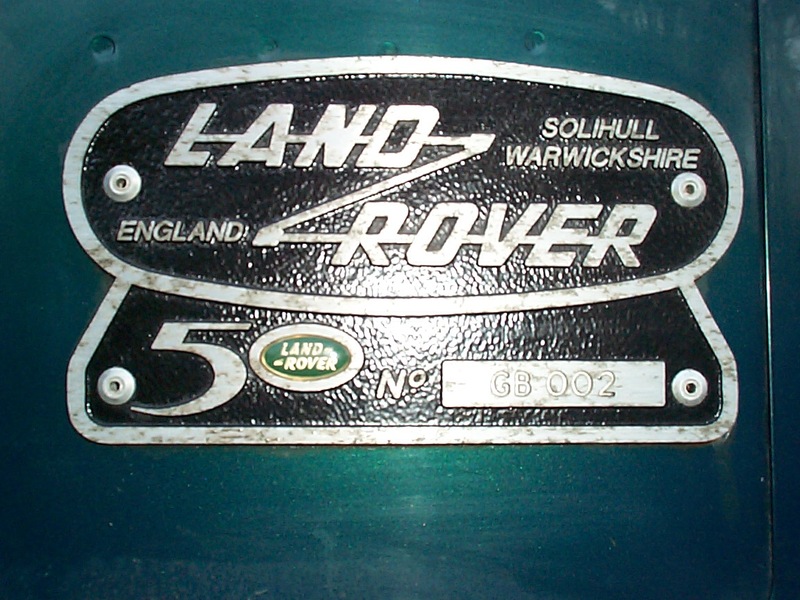 To show it is a 50th it has a rear plaque, which is engraved with its production number, and a smaller version is on the centre console inside. This is by far the best 90 to date. I think when special vehicles took on the project they wanted to show how awesome the defender can be. So lets drink to the future and hope Land Rover produce something as special and good as the 50th again. Front and rear drive permanently engaged.